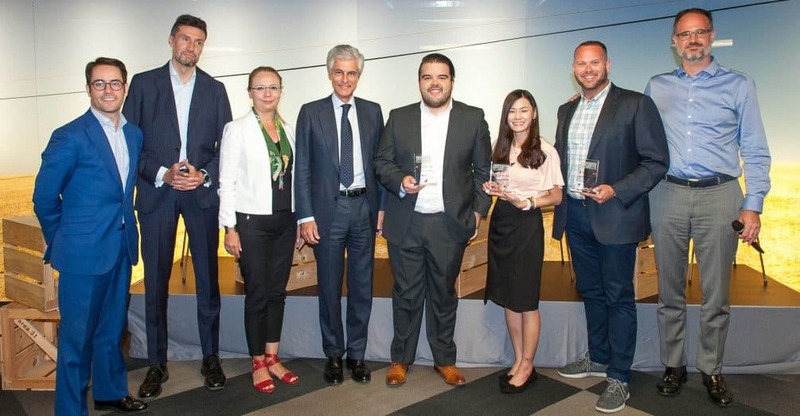 From Singapore through Chicago and finalizing in México City, meet the three finalists —and the winner— of our first Global Legaltech Venture Days. Lucius Report, winner of the Legaltech Venture Day celebrated in México and winner of the final Global Legaltech Venture Day, was created to make compliance easy by focusing on generating due diligence reports, combining algorithms and the legal expertise of qualified lawyers to deliver a comprehensive, relevant and easy to grasp report. “In simple terms, we use the technology designed to gather comprehensive publicly available information of the analyzed individual, which is later reviewed by one of our lawyers to deliver an executive report with the most important and relevant information our clients need”, explained Guillermo, who will soon begin an incubator program with Ontier and IE. Esquify, winner of the U.S. arm of the Global Legaltech Venture Days, bets on putting humans, not technology, at the center of its e-discovery management engine. Drew Stern, CEO and Founder of Esquify, explained: “Our platform approach to team management takes analytics and project management to the next level, creating an accountability loop that drives both reviewer and manager success. Further, we help our clients tap into the ‘big data’ opportunity in eDiscovery by becoming a centralized repository for their review data, which usually isn’t saved at all today, whereby they can analyze past performance to create predictability on future matters”. This Malaysian startup, winner of the Asian arm of this global startup competition, allows lawyers and property investors save time and resources that can be allocated to further growth of businesses and other priorities. “The main feature is a tool to help lawyers and property investors calculate legal fees, stamp duties and real property gains tax for property transactions. Lawyers tend to do calculations manually, for example by using spreadsheets. Another handy feature is “Top 10 Malaysian Statutes”, which lawyers can use to quickly look up statutes wherever they are. The alternative is to carry physical books around. With EasyLaw, you have it on your phone”, explained June.